Our “multi-detector” scanner can produce multiple, highly-detailed sections in less than one second. What is CT or CAT scan? CT stands for “computed tomography,” taken from the Greek word “tomos” meaning “to cut” or “to slice”. 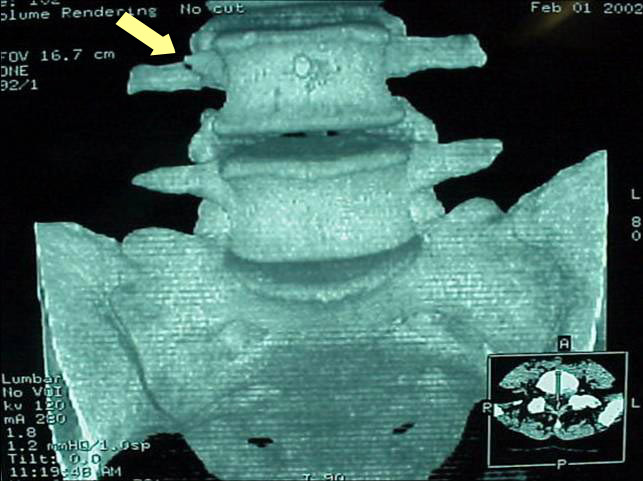 CT uses ordinary X-rays coupled with special detectors and a powerful computer to create images that appear as sections or slices of the body. Are there different kinds of CT scanners? The earliest CT scanners required as long as two minutes to produce a single, very blurry section of the body. Our scanner can produce multiple, highly-detailed sections in less than one second. Early CT scanners were able to “slice” the body in only one direction, while newer ones can “slice” the body in many different ways, and can even produce three dimensional images. In CT technology, “multi-detector” scanners can produce even more detailed 2-D and 3-D images than were ever possible before and in much less time. The increased speed of these newer machines often allows for a significant reduction in the amount of intravenous contrast material required for an exam (see below for more about contrast material). River Radiology installed the first multidetector CT scanner at Ulster CT in 1978. Ulster CT was our first imaging center in Kingston, which eventually became River Radiology in 1999 and moved to our current location in 2001. Head & Neck: CT can be used to evaluate the brain for strokes, headaches, or injury. It can also be used to evaluate the sinuses, facial bones, and structures of the neck. Chest: CT is excellent for evaluating the lungs for infection, emphysema, nodules, tumors and other conditions. Abdomen & Pelvis: CT is extremely useful for visualizing all organs of the abdomen and pelvis, and is often performed to evaluate the possibility of appendicitis, diverticulitis, kidney disease, liver or gall bladder disease, etc. Spine: CT is very helpful in evaluation of spinal fractures, and can also be used to evaluate degenerative changes and other causes of neck and back pain. 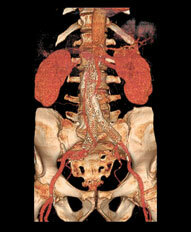 Blood vessels: CT Angiography (CTA) is a type of CT scan that can be performed for visualization of arteries or veins. Beginning February 5, 2016 U.S. Centers for Medicare and Medicaid Services (CMS) will pay for LDCT once per year provided criteria for eligibility is met. Patients will pay nothing for this service if the primary care doctor or other certified primary care practitioner accepts assignment. With the latest multidetector CT scanners, most examinations take less than 10-15 minutes, but allow 30 minutes for your appointment time. You will be asked to lie on a comfortable table, which will slide into the opening of the CT. You will move through the opening as your body is being scanned. For exams requiring IV contrast, no solid foods are allowed for 4 hours prior to your exam, and a nurse or technologist will start a temporary IV in your arm. For abdominal and pelvic exams, you may be asked to drink a barium solution, beginning 1 hour before your scan. 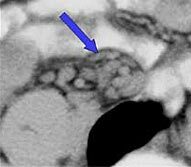 Intravenous contrast material is an organic compound containing Iodine, which greatly improves the visualization of blood vessels and many organs on a CT scan. IV contrast material is not usually required for spinal exams, but is often necessary for proper evaluation of the head, chest, abdomen and pelvis. (If you are diabetic and taking Glucophage (metformin), Glucovance, Riomet, Metaglip or Advandamet and have been scheduled for a CT scan, please phone for special instructions.) Orally administered contrast material (a barium solution) is usually necessary for CT scans of the abdomen and pelvis, where it aids in visualization of the gastrointestinal tract. If your examination requires intravenous contrast material, you will be asked to drink clear liquids (fruit juice, soda, coffee, water) the day before and the day of your exam so that you will be well-hydrated. You may take regular medications, but eat no solid food beginning 4 hours before your exam. For examinations of the abdomen and pelvis, you will also need to drink a barium solution (oral contrast material) beginning 1 hour prior to your exam. If your exam requires IV contrast and you are over the age of 65 or have a history of diabetes, hypertension or any known kidney disorder, blood work to check kidney function will be required. Your doctor can give you a script for lab work to be done prior to your CT scan or it can be checked at River Radiology. 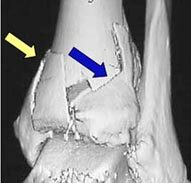 Is CT scanning a safe procedure? CT scanning uses X-rays, and the amount of radiation exposure is similar to that of many ordinary X-ray examinations. CT scanning is not usually performed on pregnant women unless absolutely necessary. Intravenous contrast material can cause allergic reactions in some people. These reactions are usually minor (such as a temporary skin rash or hives) and require little or no treatment; more serious reactions are very rare. When can my physician expect a copy of my report? Most reports are available within 1 business day or less, and are accessible through our Patient Portal.